The bleak, mountainous terrain and quiet, lonely roads set the tone for this compelling venture into the heart of 'the Stans'. The first stop is Asia Plus, a newspaper in Tajikistan. "If we were to talk too freely about our taboos, what kind of taboo would that be?" asks the Editor-in-Chief, Marat Mamadshoev, with a smile. "We'd rather get approval from our superior first..." he says nervously. "The Washington DC overlord of Asia Plus!" Given the go-ahead, the team pours over the material. Speaking over Skype, Assange warns, "Read all of it. If you go searching for particular things you will bring your own prejudice to the material." But as the Wikileaks team move on to their next meeting, soon the call comes, "the problem is that there are many things in the cables that we cannot publish...because we will get into trouble". At the offices of the Kazakh Telegraph Agency the team receive a more frosty reception. "Why have you come here? If an unskilled man gets access to this data it will lead to anarchy!" Editor-in-Chief of the magazine 'Expert Kazakhstan' says with a shrug, "You are wasting your life in vain. Nothing will come out of it." After an arduous trek, back in their UK base the team take stock. "These boundaries of free speech, they look different in different countries, but they always exist in one way or another." In London and Washington the Editors-in-Chief of The Guardian and the New York Times speak frankly about the issues of "protecting individuals" and "self-censorship" and making tough decisions about whether or not to publish leaked government data. Sitting in front of a wall of framed pictures of US Presidents and politicians, Bill Keller discusses how, "a lot of presidents and foreign ministers...troop through here...to air their views". A potent road map of the fragile connections between the press, the public and the silent powers that control them. Johannes Wahlström is a journalist and filmmaker who was born in London in 1981 and grew up in Jaffa, Moscow and Stockholm. Educated in Anthropology, Political Science and Media and Communications Studies, Wahlströms work makes a point of transcending cultural norms and boundaries. Amongst his feats is a short time in an Israeli prison for breaking the military siege at the Church of Nativity, co-founding the International Middle East Media Centre, investigative journalism on corruption in the Swedish media. Exposing nepotism amongst diplomats, then working with them. 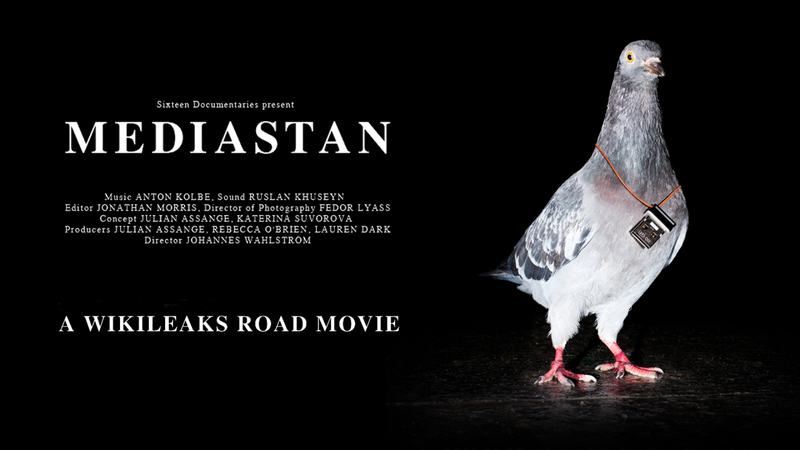 Wahlströms work with the WikiLeaks releases of 2010 led to the Mediastan project.